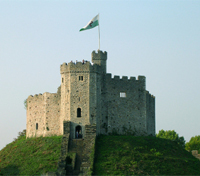 With private guide, tour the Wye Valley, Brecon Beacons and medieval castles surrounding Cardiff. Discover the famous university town of Oxford, and the birthplace of Shakespeare, Stratford-upon-Avon, with a private guide. 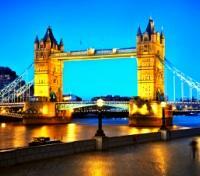 Tour London in a famous Black Cab. Explore the mysterious site of Stonehenge, en route to Bath. Expert selection of premium accommodations throughout. 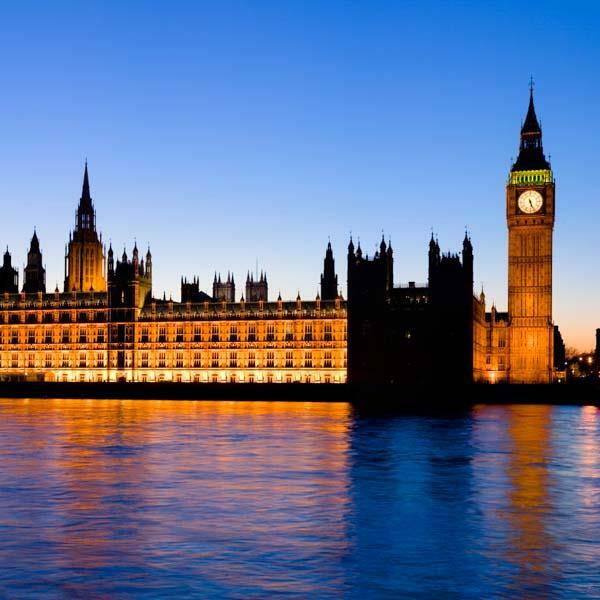 Begin in the metropolis London, where you'll take a private guided walking tour of the central core, and then hop in a famed Black Cab for a tour around the city to see the renowned sites like Big Ben, Buckingham Palace, Trafalgar Square and more. Make a private guided day trip to Oxford, home of the oldest and most famous university of the English-speaking world, and then enjoy a visit to rural Stratford-upon-Avon, the birthplace of William Shakespeare, where history and culture collide. On your way to Bath, visit the impressive neolithic monument Stonehenge, a truly bewildering site with as many questions as it has answers. Uncover Roman relics on a stroll through the city of Bath with a private guide, and then cross over into Wales and discover Cardiff, along with nearby medieval castles and towns as you tour the blissful scenery of the Wye Valley and Brecon Beacons with your private guide. This is the Great Britain you've come to expect, though don't be surprised if there's a trick up its sleeve. Be sure to wear some quality walking shoes as you depart on foot with a private guide for a half-day walking tour of sightseeing in Central London. One of the world's great cities, London manages to shine in the grayest weather, and its diversity defies a simple definition. Depending on the location of your hotel, and your particular interests, your guide will happily tailor the tour so you can get the most out of your day. 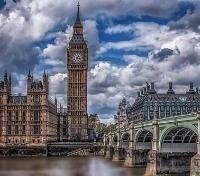 Wander the cobblestone streets, gardens and markets, and be a Londoner for a day. Walk through renowned Trafalgar Square, explore Soho, and check out some stalls at historic Covent Garden Market. See the Queen’s residence, Buckingham Palace, take some photos of iconic clock tower Big Ben and the Houses of Parliament, see Hyde Park’s lively Speakers’ Corner. Using the Oyster card provided in your London Welcome Package, perhaps even take the Tube to cover more ground, allowing you to view the UNESCO-listed Tower of London, Tower Bridge, St Paul’s Cathedral, and more. Tonight, dine at leisure in London. Please ask your travel consultant for a curated list of recommended restaurants in the city. 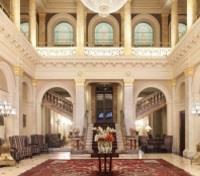 Relax in Victorian splendor at the heart of central London at the Grosvenor Hotel. Built by the Victorian railway pioneers in 1862, The Grosvenor Hotel Victoria ushered in a Golden Age of travel. Located within walking distance of Buckingham Palace, this Grade II listed building has been restored to its former glory following a multi-million pound refurbishment. Combining modern touches with unique period features, the spacious rooms offer scenic views of Buckingham Palace Road, the Royal Mews, the Palace Gardens and the broad span of Victoria Station itself. Adorned in the finest Victorian architecture, they boast iPod docking stations with surround sound, Egyptian cotton linen and large plasma-screen TVs. Be it the exquisite cuisine of the newly instated Grand Imperial Restaurant, or a signature cocktail at the stunning Réunion bar, the Grosvenor Hotel welcomes you to London. Your professional cabbie will come and collect you from your hotel and then take you on a magical sightseeing journey through London’s signature sights and hidden treasures. Stop for a photograph and historical explanation as you take in iconic sights like in Tower Bridge, the UNESCO-listed 11th century Tower of London, and Buckingham Palace; residence of the Queen. View Westminster Abbey, St Paul’s Cathedral – where Sir Winston Churchill’s funeral was held, along with Trafalgar Square, the Houses of Parliament, and several places that visitors to London rarely get to experience. You’ll wander alleyways and hear tales of murder and mystery. See odd spots like the smallest house in London, the smallest square in town, wander into Henry VIII's cow shed and tennis court. 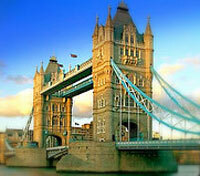 This tour takes you to both the landmark sites of London and the unusual for a unique, well-rounded experience. 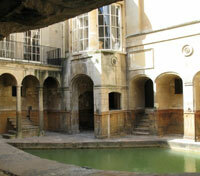 Depart with your private guide and vehicle, embarking on a full day tour to visit Oxford and Stratford-upon-Avon. First, arrive to renowned university town Oxford, nicknamed the ‘City of Dreaming Spires’, and home to the oldest university in the English-speaking world; the University of Oxford. For over 800 years, Oxford has been a home to royalty and scholars, and its age is still evident as you stroll through the lanes of the medieval center, seeing many of Oxford’s thirty-eight famous colleges along the way. Walk through the picturesque Christ Church Meadow, enclosed by the rivers Thames and Cherwell. See the 17th century Sheldonian Theater, the neo-classical Radcliffe Camera, and the main research library of the University of Oxford - the Bodleian Library. 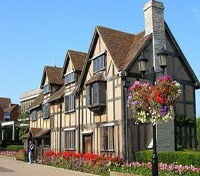 Afterward, continue on to Stratford-upon-Avon, the birthplace of William Shakespeare, one of the most influential poets and playwrights to ever live. Steeped in culture and history, and set in the beautiful rural Warwickshire countryside on the banks of the river Avon, you’ll have an opportunity to soak in views of Shakespeare’s childhood home. You'll also stop briefly at Hall’s Croft - a grand Tudor building that was home to Shakespeare’s daughter and her doctor husband, and round out the Shakespeare connection as you see Anne Hathaway’s cottage - the family home of Shakespeare’s wife. Meet your private driver for a transfer to Bath today. En route, you'll stop at Stonehenge, for approximately two hours of self-guided discovery. 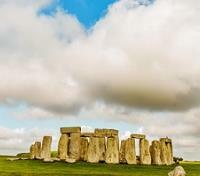 A prehistoric monument recognized by UNESCO as a World Heritage Site, Stonehenge is an icon of Great Britain. Dating back an estimated 5,000 years, wonder and mystery surround this impressive stone monument. With your admission included, you'll wander around and decide for yourself whether it was a place of sun worship, a healing sanctuary, a sacred burial site, or something different altogether! 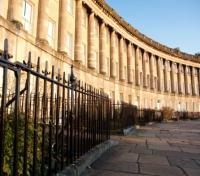 Afterward, return to your private driver and vehicle for your transfer to Bath. 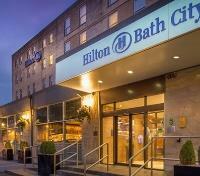 Hilton Bath City is set amid the fine Georgian architecture of central Bath, offering breathtaking views of the River Avon, and located just minutes from the Roman Baths, the Royal Crescent and the Jane Austen Center. All guest rooms and suites are designed with comfort and convenience in mind, and come standard with air conditioning, LCD flat screen television, and optional wifi access. Enjoy a-la-carte French cuisine at the on-site Atelier Restaurant, or relax with a cocktail in the sophisticated Lobby Bar. Recognized under TripAdvisor’s Green Leader program, Hilton Bath City is making steps toward a lower environmental impact, for a cleaner tomorrow. Meet your private driver and vehicle for a transfer to Cardiff. Approximate travel time is 1.5 hours. The bustling capital city of Wales has plenty of interesting sites to discover. 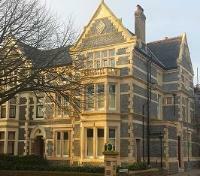 Cardiff Bay offers the visitor to the Welsh Capital a glimpse into Cardiff's historical past, present and future. See the shipping headquarters, once used by the founding family of Cardiff - The Butes, now alongside the modern iconic Wales Millennium Centre, which has captured the imagination of the Welsh people and is recognized on an international stage. Looking beyond the bay, Cardiff Castle stands as a strong icon of the city, while a range of theaters, galleries, museums, arts and live music venues are at arms-length. 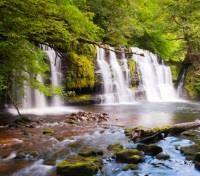 Enjoy time at leisure discovering the sights and places that are of particular interest to you. Cathedral 73 is a dignified Victorian townhouse with funky, fashionable 21st-century accommodation. The rooms and suites are bold and beautiful, with modern amenities designed to make your stay as seamless as possible. Guests can expect the highest level of service paired with a relaxed and laid-back atmosphere and ambiance. Take part in afternoon tea served the proper, traditional way – then watch as the space transforms into a trendy piano bar in the evening. This morning you'll be setting out with your private driver-guide to further explore some of Wales’ pristine natural wonders within Brecon Beacons National Park. This beautiful park combines history, industry and natural wonder in over five hundred square miles of superb natural scenery in the South Wales valleys. It includes four mountain ranges full of caves to explore, rushing waterfalls and nearly three hundred recognized ancient monuments. The grassy moorland is home to Welsh mountain ponies and a variety of birds including the Red Kite and Peregrine Falcon. First, you'll stop to discover the Iron Age Twyn y Gaer Hill Fort at Mynydd Illtud which affords spectacular views over the park’s mountain ranges. Next, head over to Porth Ogof, to explore the largest cave opening in Wales. Gaze at the enormous limestone cliff of Dinas Rock, where it is rumored King Arthur and his army still sleep. Finally, marvel at the rushing waters of Henrhyd Waterfall, which you may recognize as the entrance to the Batcave in the 1992 film, Batman Returns! After taking in so much natural beauty, you'll arrive at Penderyn Distillery to unwind. Using the natural spring water from the Brecon Beacons, the distillery produces Penderyn single malt whisky along with other various liqueurs. Take a tour of the distillery to learn about the founding of Penderyn, how whiskey is made, and to truly appreciate how this whiskey differs from any other in the world. At the end of the tour, head to the Tasting Bar to sample some of the distillery’s delicious products. Conclude your tour back in Cardiff. Meet your private driver-guide and embark on a full day tour to discover some of the most impressive highlights of Southeastern Wales. From Cardiff, you'll first head to the town of Caerleon, where you'll make a visit of some remarkable Roman archaeological remains, including a legionary fortress, an Iron Age hillfort, and some excavated Roman Baths. 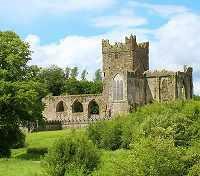 Then, in Tintern, you'll visit the stunning ruins of Tintern Abbey, a 12th century relic built on the bank of the River Wye, the first official Cistercian presence in Wales. With much of the structure still standing, catch glimmers of its former prominence. Continue to nearby Chepstow for a visit of 11th century Chepstow Castle, Britain's oldest surviving stone fort ruins from the post-Roman era. You'll then visit the romantic ruin of Raglan Castle nearby, built in the 15th century, offering a noticeably different construction style, and a hexagonal keep. Head in a northwestern direction to Hay-on-Wye, the 'Town Of Books’, with its maze of narrow ancient streets, housing over 35 bookshops with over a million books for sale - a mecca for second-hand book and antiquarian book lovers! Heading south, you'll pass through Brecon Beacons National Park, and the Black Mountains, only partly tamed by human habitation. Tiny villages, isolated churches and delightful lanes are folded into the undulating green landscape, a peaceful way to conclude the day as you return to Cardiff. After checking out, meet your private driver for a transfer to London today. Approximate travel time is 3.5 hours.